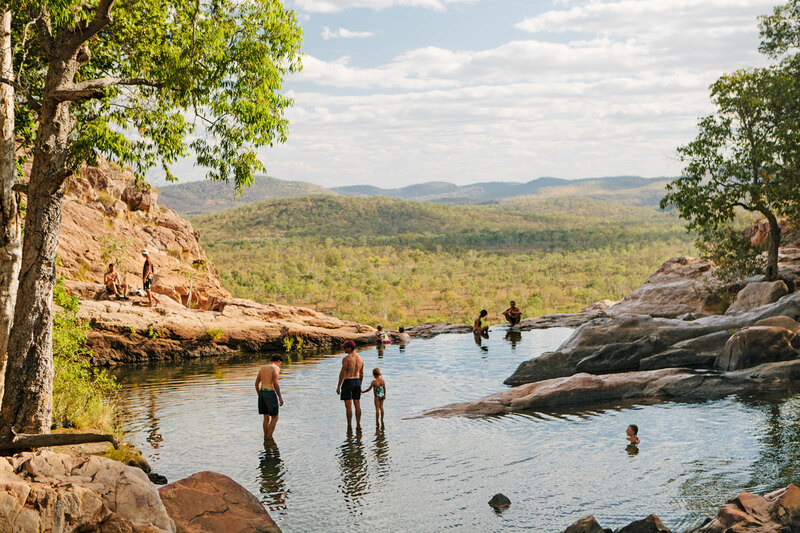 GALLERY: Sixty “eye-poppingly beautiful” Australian swimming spots – including rock pools, lakes and springs in SA – are captured in a new book by a couple who travelled 28,000km across the country and documented their swims along the way. 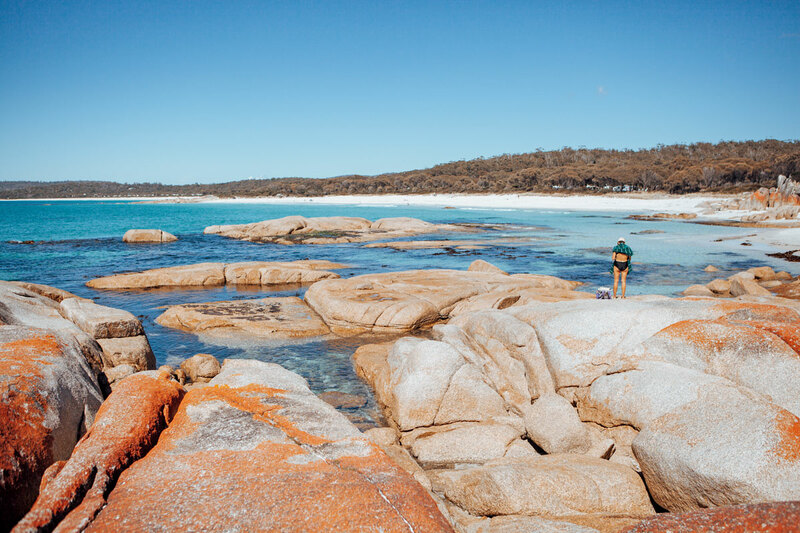 Places We Swim authors Caroline Clements, the founding editor of Broadsheet, and Dillon Seitchik-Reardon, an environment scientist, describe their book as “a celebration of Australia’s incredible landscape, both natural and built”. 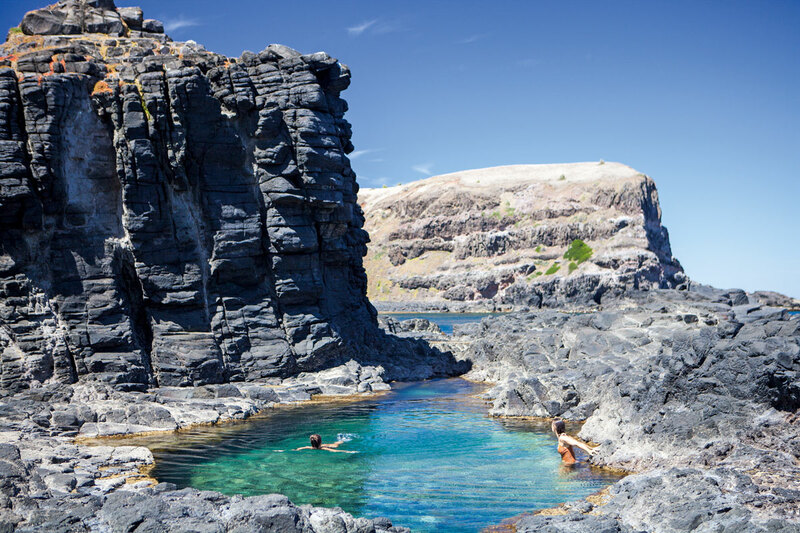 They began their trip in an old 4WD before later switching to a more comfortable campervan, and visited places both easily accessible and remote, from lap pools to sea pools, the ocean, waterfalls, hot springs and rockpools. 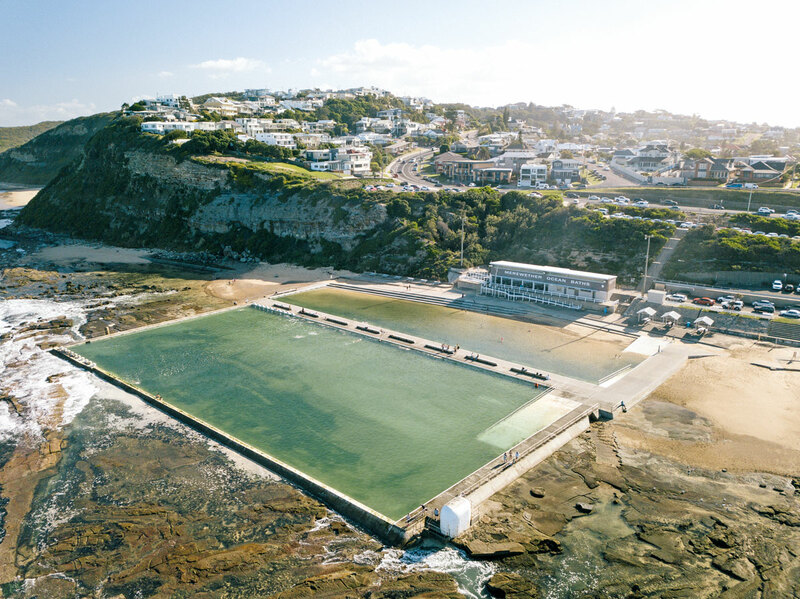 In their introduction to Places We Swim, published this month by Hardie Grant Travel, they say they chose places that were “eye-poppingly beautiful”, enjoyable for all types of people, reasonably safe, and not prohibitively difficult to access. “The thick fingers of the Yorke and Eyre peninsulas dip into the Southern Ocean, catching crystal-clear water wherever it makes landfall. Wild isolation is multiplied as you travel north into the outback. The land becomes extraterrestrial, which makes swims all the more rewarding. Down the dusty, corrugated roads we found cold pools and hot springs. 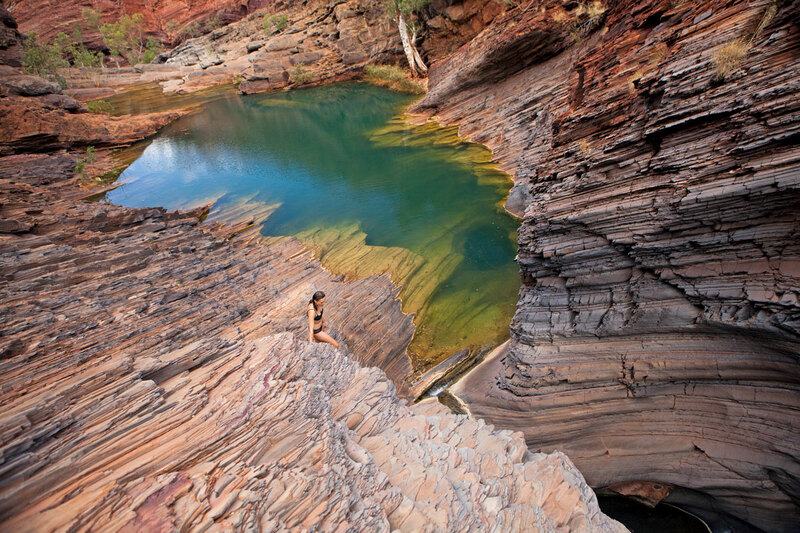 The South Australia chapter includes Dalhousie Springs, in the Witjira National Park on the western fringe of the Simpson Desert. 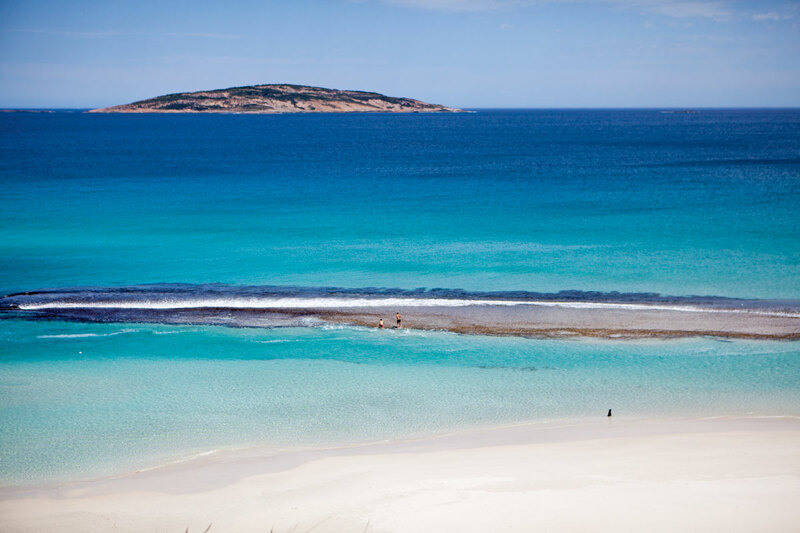 It also rates a mention as one of the best swimming spots nationally for relaxing with a cold beer. The authors note that Dalhousie Springs (see photo in gallery below) is “probably one of the most remote places that any of us will ever swim (or drive to)”. “Main Pool is a large thermal spring and the only designated swimming hole in the area. Though it is surrounded by dense, wetland vegetation, it can be easily accessed via stairs on the water’s edge. 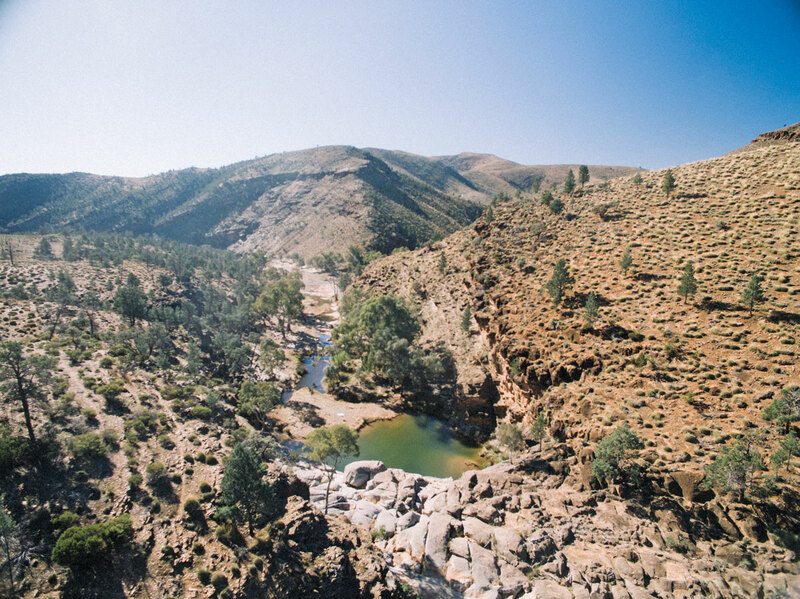 Blinman Pools, natural pools in a rocky riverbed at the foothills of the Flinders Ranges available only via a 6km walk, get a special mention as one of the best places for a “nudie swim”. Other South Australian inclusions are Shell Beach Rock Pool, Port Lincoln Swimming Enclosure, Second Valley, and Little Blue Lake at Mount Gambier – a sinkhole formed by the collapse of an underground cave, in a paddock about 15km south of Mt Gambier. Each entry in Places We Swim includes information on what makes the swimming spot unique and other attractions in the area. The book also profiles a range of people, from an extreme ocean swimmer to a crocodile expert. 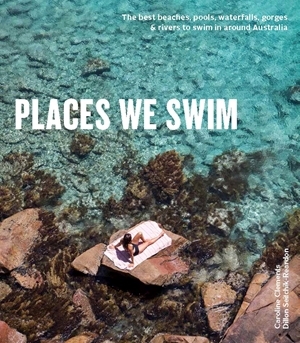 Places We Swim, by Caroline Clements and Dillon Seitchik-Reardon, Hardie Grant Travel, RRP $39.99. Available in stores nationally now. For more follow Caroline and Dillon @placesweswim.